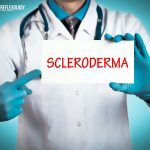 Recurrent illness and chronic diseases like joint pain and arthritis are often the cause of toxic overload in the body. Excessive dependence on junk and processed foods, pollution and food additives increases the level of toxins in the body and hinders the proper functions of the organs leading to pains, aches, fever and tiredness by lowering the body’s defense mechanism. Detoxification can be done by drinking plenty of water, fating, making dietary changes. But one of the best and long lasting ways of detoxification is thought acupressure points and reflexology. The benefits of reflexology are innumerable and it helps in flushing out toxins form the body by stimulating qi flow through the important organs involved in detoxification – liver, kidney, colon, lungs and skin. 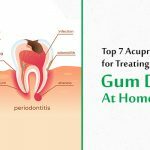 Environmental pollution, pesticides, chemicals and waste are stored in our system that slows down the functioning of the immune system and lead to fatal diseases like cancer, cardio-vascular diseases, joint pain, arthritis, etc and it is extremely essential to flush out these toxins form the body. Periodic detoxification of the important organs such as lungs, liver, kidney, colon and skin helps in improving the functions of the immune system so that the body can fight bacteria and viruses that cause infections, cold, flu and fever. Excessive toxins in the body mutilates the body’s capacity to metabolize stored fat and balancing blood glucose thus leading to slowed down metabolism and weight gain, heart disease, high blood pressure, diabetes and several other chronic diseases. 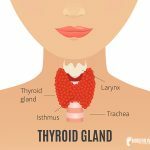 Accumulation of toxins in the body is one of the leading causes of various types of cancers, heart disease and strokes, asthma, acute bronchitis, etc. Periodic detoxification of the body helps in reducing the risk of these chronic diseases. When less energy is consumed by the body in fighting diseases and ailments, it can be used to improve mental and emotional clarity to increase efficiency, performance and accuracy of work. It also helps in better decisions and increases the power of analysis. Detoxify the body and promote a healthy immune system naturally with acupressure and reflexology that helps in flushing out toxins by stimulating qi flow through the vital detoxification organs. This point is located on the webbing between the big and the second toes. Stimulating this point on both the foot alternately helps in regulating and refreshing the liver, the most important detoxifying organ. Stimulating this point also helps in curing vision problems, menstrual cramps, headaches, lower back pain, sleeping disorders and insomnia. This point is located three finger-widths above the inner ankle bone along the back of the tibia. Stimulating this point on both the legs alternately helps in proper flow of energy and blood throughout the body. 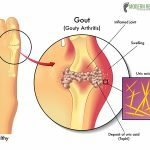 It also helps in reducing knee pain, lower back pain, treating gynecological problems like PMS, painful or irregular menstruation, insomnia, dizziness and helps in stress reduction. Important Note- This point should not be stimulated during pregnancy. 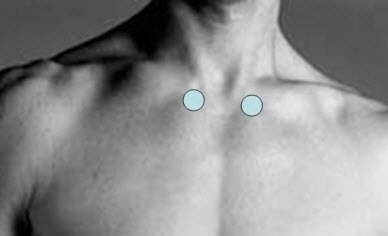 This point is located in the depression just below the collar bone. Stimulating this point on both sides alternately helps in regulating the functions of the kidney, yet another important detoxification organ and flushing out toxins form it. In addition, it also helps in clearing nasal congestion and problems of breathing, asthma, chest tightness, anxiety, exhaustion and fatigue. This point is located in the webbing between the thumb and the index finger. Stimulating this point on both the hands alternately helps in flushing out toxins through bowels. It also helps in treating skin disorders and acne, allergies, headache, fever, tooth ache and eye problems. This point is located on the palm side of the hand, three finger widths above the wrist crease, in the middle of the arm. Stimulating this point on both arms alternately helps in regulating stomach, heart and liver qi. It also helps in relieving persistent coughs, chest congestion, cardiac pain, anxiety, dizziness, irritability and asthma. 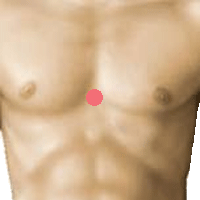 This point is located slightly below the center of the breast bone. Stimulating this point helps in clearing the chest, allowing qi to flow freely through the lungs. It also helps in boosting the immune system and body’s capacity to fight illness, relieve anxiety and stress. 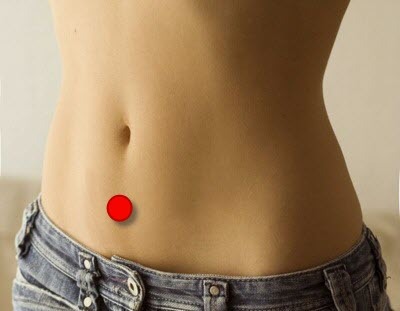 This point is located 3 finger widths below the belly button, on the mid line of the body. Stimulating this point helps in relieving fatigue and improving the immune system. It also helps in strengthening the immune system, relieving headaches, body aches, abdominal cramps, constipation, menstrual cramps, insomnia and general weakness. Try out these 7 simple and easy reflexology points to detox your body and live life in a healthier way by keeping diseases like cold, flu, fever, diabetes and cardio-vascular problems at bay. The title is modern reflexology but you are advising for stimulating accupressure points. What’s the difference between reflexology and accupressure ? And please mention for how many mins each points are required to be stimulated ? Is it must to apply all the 7 points as given in the Order ? Can I apply LV-3 , PC-6 and CV6 and get the benefits? Will it affect the Health if we leave the other points? 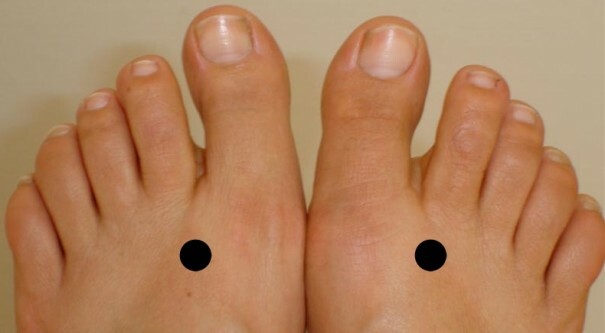 Lv 3 point on the top of your foot, in the valley or webbing between the large toe and second toe. This powerful point balances the Liver meridian. Nice post. How frequently can all these points be pressed? once in a week will help ? 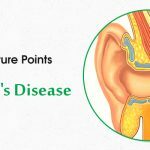 Devoting about ten minutes everyday to stimulating these points can yield great results. I just worked on the Great Rushing point and it was tender. Does that mean it really needs to be addressed and, if so, would the tenderness go away once the liver is detoxified? Typically when I do a any kind of a detox I sleep well and may wake up feeling tired from the detoxification process. I’m wondering how I will feel tomorrow morning after the work over I gave this point this evening.